We pride ourselves in being one of the fastest to ship in the industry. Most small items are deliverd in just 1-5 days and most large item deliveries are delivered to your home in just 3-10 days! This is very fast considering we must package and set up a freight delivery for larger items. Shipping times may vary depending on where you live in relation to the warehouse used and might be longer or shorter than our general quoted time frame. If shipping time is an important factor for you we recommend contacting us for a quoted time prior to ordering just to make sure we can take care of your needs. We want to do everything possible to meet your requirements. 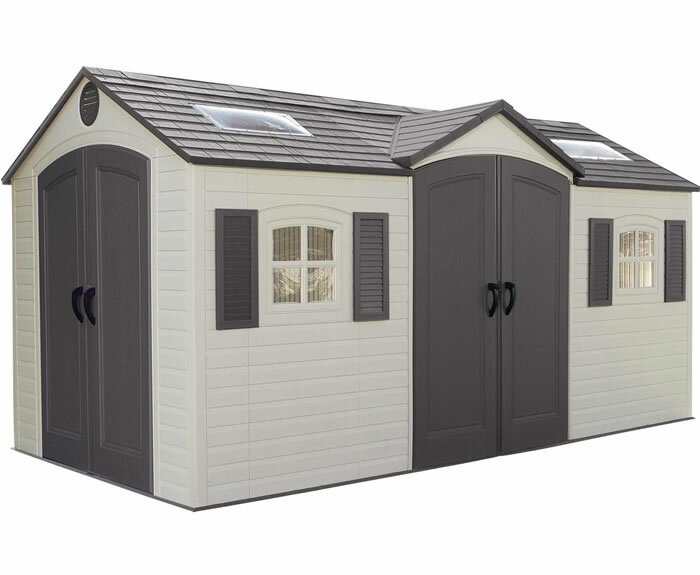 EZ-Fit and Handy Home sheds are usually delivered within our general estimated 3-10 days but can take up to 15 days in some areas. 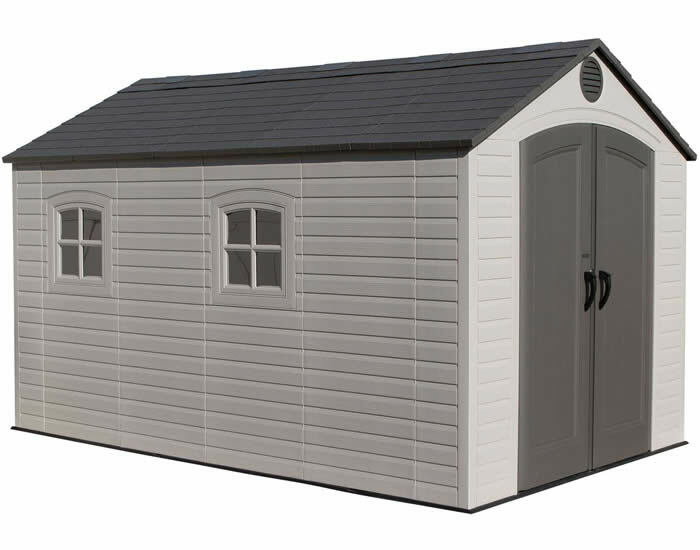 Shipping times can be affected by weather, holidays, carrier equipment and many other events and for those reasons ShedsForLessDirect.com cannot guarantee shipping times. Delays are very rare events and we promise to do our best to ship things out as quickly as possible for a speedy delivery. Whether you are buying an accessory or a utility building, ALL of our products are Shipped absolutely FREE to anywhere in the mainland contiguous USA. *Excludes AK, HI and any US territories or islands located off the mainland. There are No Sales Tax charges in most states excluding CA, IL, MI, MO, NJ, OK and WA. Your state may charge a use tax to buy online. 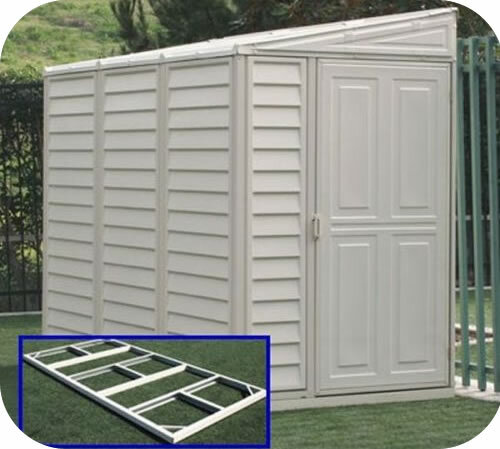 Some of our storage buildings are very large and too heavy to ship via package carriers. Contracted freight companies deliver these structures. These companies will call the consumer when merchandise arrives at their terminal to set up a delivery time that is convenient for you. These companies provide tailgate delivery. Upon delivery the driver is only required to take products to the curb, your driveway or entrance of delivery address. The carrier is not responsible for bringing merchandise into your home, uncrating, installing or removing packing materials. Truck freight is different than standard UPS, FedEx or US Mail in that you will be responsible for carrying the product from the back of the truck into your house (or wherever its going). If you are ordering a very large item, please keep in mind that you may need a couple of people to help. Alternatively, most truck freight companies offer additional services to help you move items from the truck into your house. Once we email you the tracking information you can contact the shipper directly to inquire about additional services. You would be responsible for directly paying the truck freight carrier for any additional services. 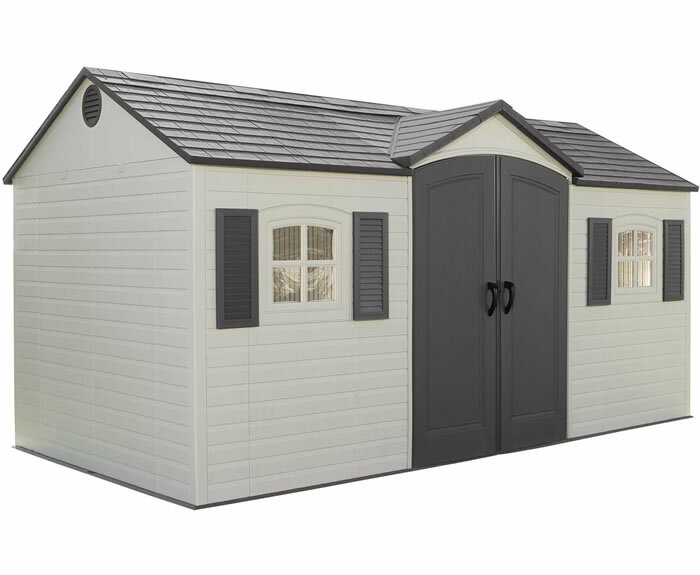 ShedsForLessDirect.com is not responsible for any restrictions due to geographic location, inaccessible roads (dirt, gravel, dead ends, single lane, low hanging wires etc. ), local covenants, neighborhood association laws or any other restrictions that would prevent the delivery of your shipment. If you have any delivery restrictions that would prevent a large truck from accessing delivery to the curb of your property please contact us prior to ordering. ShedsForLessDirect.com will not be responsible for any shipping costs incurred for undeliverable merchandise for any reason and these costs will be deducted from the customer refund. ShedsForLessDirect.com will not be responsible for any costs incurred for special delivery fees to deliver to an inaccessible area that requires special needs. Additional delivery fees for special needs will be the responsibility of the customer to pay for added services. If a change of address is needed after the order has shipped the carrier will charge a fee for this service called a reconsignment fee. All reconsignment service fees will be the responsibility of the customer. The most important thing to remember about truck freight is that you MUST inspect the package at the time of delivery. A delivery appointment time will be set and you or someone 18 years or older respresenting you will be required to be present during delivery, inspect to make sure the items are all there and in good condition, then sign for them. If merchandise has shipping damage at time of delivery, consumer should indicate "damaged" on the paperwork. If the damage is minor please write on the BOL what items are damaged and accept the delivery. We will replace damaged parts free of charge. If there is significant damage, consumer should indicate "damaged" on the paperwork, refuse the delivery, then contact us giving a detailed description of the damages. We will have new items sent to replace damages found right away. Please note, in most cases if there is significant damage and the delivery is refused we can offer a full refund if desired but some of our suppliers only guarantee a reship. For damaged delivery refusals our normal process is to reship the order. If other damages are found during assembly please contact us and we will send you replacements free of charge on qualifying parts for up to 30 days after the order date. ShedsForLessDirect adheres to the strict standards of the Better Business Bureau and is an A+ rated Accredited BBB business. View our BBB Reliability Report by clicking the image below. If the item(s) have been used or tested in any way, it cannot be returned unless it is in a re-sellable condition and within 30 days from the date of purchase. It must be in its original box and all manuals, warranties, accessories and packing materials must be included. All returns will incur a restocking charge of 25% of the item(s) price. This fee is 35% for Handy Home Products. If items have been assembled, damaged or used this charge will increase or the return may be denied. The customer will also incur the expense of all shipping charges, even if the order was sent with free or discounted shipping. Inbound and outbound shipping costs will not be refunded once merchandise has shipped. Orders that received discounted or free shipping will be charged for initial shipping cost as well as returning shipping cost. Delivery refusal will result in a refund minus restocking fees as well as inbound and outbound freight fees. Do not refuse your delivery for any reason other than damage. Redelivery fees will apply. Once an order has left the warehouse for shipment all costs incurred by ShedsForLessDirect.com to facilitate the order including inbound and outbound shipping costs as well as a restocking fee due to the warehouse will be deducted from the customer refund for all cancellations. Hiring any 3rd party builder or shipper outside of our terms will be the sole responsibility of the customer and we will not compensate for their fees, lost parts, claims or damages caused therein for any reason. Note: there are no returns accepted on any Little Cottage Company or Leisure Season brand products due to shipping costs. EZ-Fit brand products are custom built to order and will incur a 20% restocking / cancellation fee if cancellation request is received after 24 hours of ordering. To initiate a return you must obtain a return authorization first. Please use the contact us form to send us all your order information and reason for return. All returns are handled via email to ensure proper communication and documentation. We will process your request and email you return instructions within 24 hrs. A $25 fee will be accessed, for any erroneous challenge to a legitimate credit card charge, which results in a charge back fee to us. Please work directly with us to avoid unnecessary charge back fees. NOTE: Please make sure you have obtained any necessary permits prior to ordering. If the customer is required to obtain a permit for their area to use any of our outdoor products the customer is responsible for obtaining this permit prior to making their purchase. ShedsForLessDirect.com will not be responsible for any permitting not approved. Check your local subdivision or living area rules and regulations prior to making your purchase. If the customer is not able to obtain a permit or not allowed to construct their structure in their area for any reason after ordering they will be responsible for inbound and outbound shipping freight charges as well as any restocking fees. In the rare event that during assembly you find there is a part which is missing, defective or damaged we have you covered! 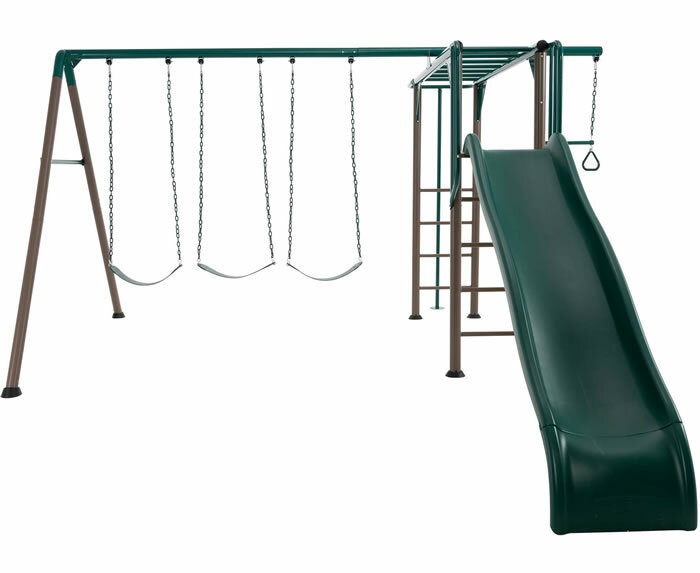 We will provide you with a replacement part at no additional cost for up to 30 days after the order date of qualifying brands (after 30 days please contact the manufacturer and open a warranty claim by following the instructions on your assembly manual). Pictures may be required to qualify. ShedsForLessDirect.com will not accept full returns on any products due to missing, defective or damaged parts. Instead we will ship the part to you free of charge right away. Any items purchased locally must be approved prior to purchase to qualify for reimbursement.